Everyone should be able to indulge with their favourite chocolate bar every now and then – even if they don’t consume gluten! We have put together a list of some of our favourites, minus the gluten and packed full of nutrients and goodness. 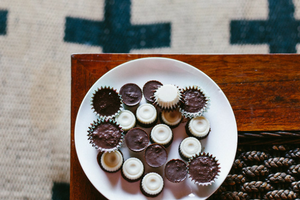 Whip up a batch, put your feet up, and enjoy! 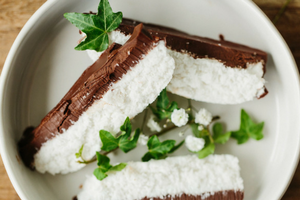 Sweet coconut wrapped in delicious chocolate…Bounty Bars are a tasty treat and we think ours are even better! Try the recipe here and see if you agree. 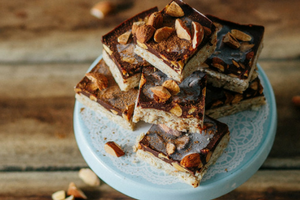 Adapted from a recipe by Edwina Kent from Wray Organics in Toowoomba, this Snickers Slice recipe is as gooey and chocolatey as the original but packed with goodness. 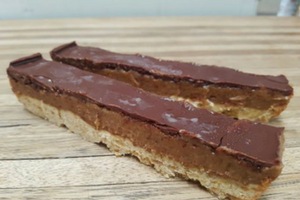 A delicious mix of crunchy base, oozing filling and chocolate top…if you love a Twix, try this Paleo Twix Bar recipe for the same satisfying textured hit but with added nutrients. Win, win! Okay, so technically this one isn’t a bar, but we’ve taken inspiration from a bar – Top Deck – and given it a tasty twist. And we think you’ll forgive us this technicality once you try the recipe! 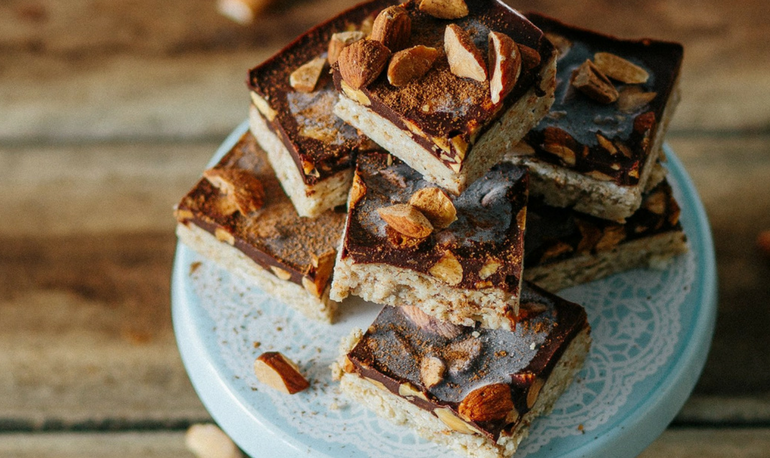 Do you have any go-to gluten-free recipes for when you fancy a treat? We’d love you to share them with us in the comments below!